Here we are at Diane and Steve's house on Easter Sunday, 2000. We were getting married the following month! 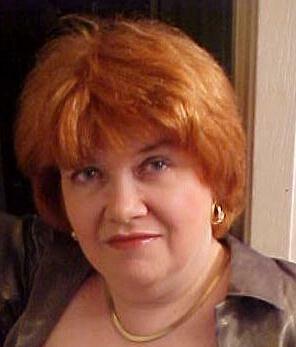 This was a picture Vic took of me -- we thought it turned out better than the $150 Glamour Shots I had done a few years ago! Here's Victor, a great and charming guy with many talents -- he can fix about anything and is very creative. Here are our kitty cats... Patches and Phoebe. (Our old kitties, Puddy and Woody passed away last year and were buried up on the farm with full kitty honors). We miss them but these little girl kitties do keep us happy. 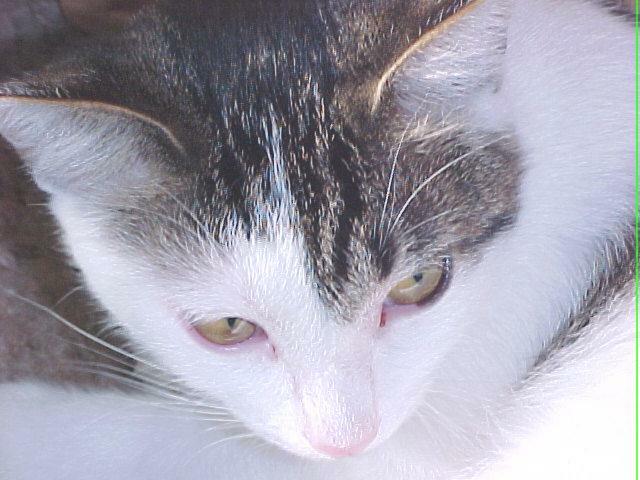 This is our little Patches -- she was the www.housecat.com Cat of the Month for April, 2001 with this picture. We were so proud! She is Vic's baby and very much a part of our family! 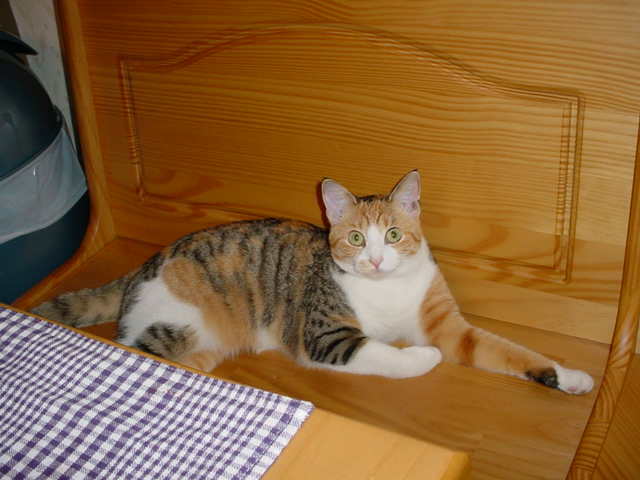 This is our adorable Phoebe, our younger kitty... you can see her on her page on this site! To help you get to know us better, in this area we have each family member and a short description of them. 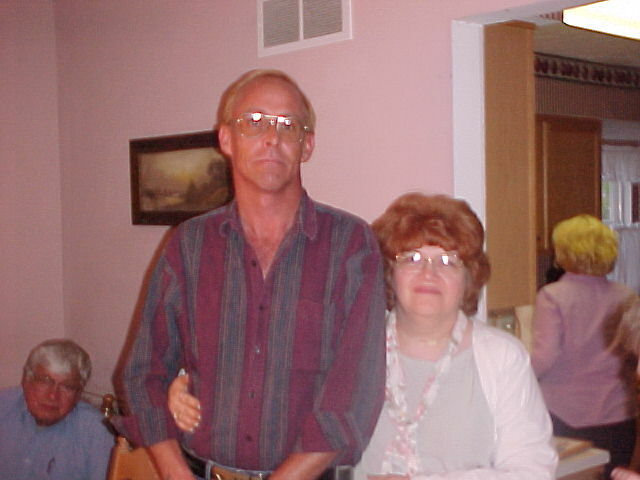 We are a Cincinnati, Ohio couple in our late 40's, married a little over one year. We have grown children and a nice group of adorable grandchildren.